We make sure to scan your documents in the way that benefits your business. Once you know exactly what your scanning project looks like, we can actually help you find the best way to help store your files that will make them as easily accessible as you would like them to be. You want them to be organized in a way that makes them easy to access as well as putting them into a software system that’s going to help make your company more efficient. We can help ensure that all your documents are stored exactly how you’re going to need it. We can scan your files onto whatever media you prefer, from hard copy disks (CDs/DVDs), USB storage devices, external hard drives, or even virtually on the cloud. We can also upload your documents into a software system that you have set up already for your company—or help you choose a system that works best. Think about how you’re going to use the files before you choose your storage media. You probably don’t want to have everything scanned onto a DVD if you have thousands of medical files that that you access regularly. If you’re looking to scan a few personal documents, putting them on a USB drive may be the perfect option for you. If you run a busy medical office, a software solution like an EDMS lets you pull up a patient file quickly, schedule appointments, and check on a patient’s medical records, while personal financial records can easily be stored on an external hard drive. Each company is going to have rules, regulations, and privacy and security options to consider when selecting the right media for your company. Depending on the field that your company works in, you will also want to look into different laws in your state to make sure that you follow everything accordingly. Get Free, No Obligation Quotes on Records Scanning Services Today! 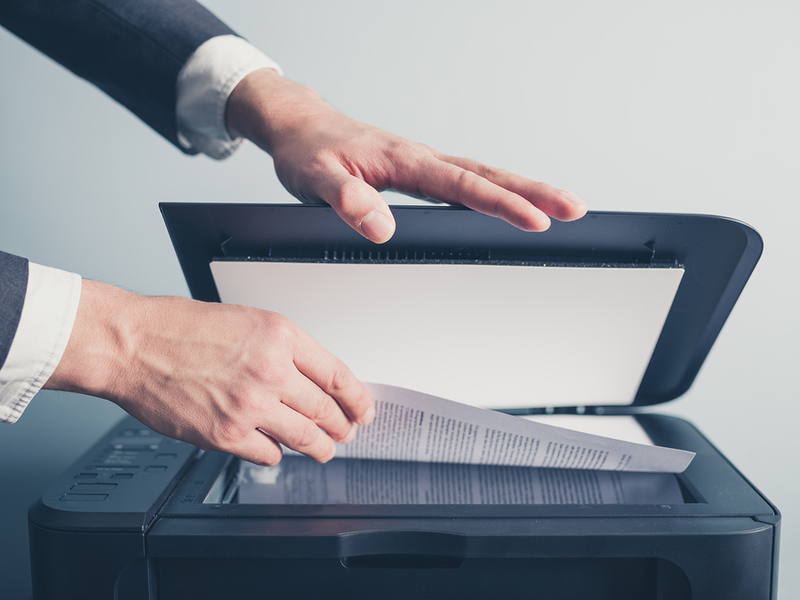 You want to make sure that you choose the best document scanning solution for your situation—and Record Nations will make sure to handle all of your documents with the same care that you would handle them with. We’ll work as quickly as possible so that you can get back to business! Call us at (866) 385-3706 or fill out the form on the right for free quotes.